BookSource is looking for an Android Developer. If you meet the requirements below, you will be eligible to apply via Digital Marketing Community. Create and maintain a high performance, reusable and reliable Java code. Make sure that the best possible performance, quality and responsiveness of the application. Assist in maintaining code quality, organization and automatization. Effective knowledge of Android SDK, different versions of Android and how to deal with different screen sizes. Extensive experience with (RESTful APIs) to connect Android applications to back-end services. Deep understanding of Android UI design (principles, patterns and best practices). Proficient experience with (offline storage, threading and performance tuning). Advanced working knowledge of code versioning tools, such as (Git). Expert understanding of the use of additional sensors, such as (gyroscopes and accelerometers). Superior experience with the open-source Android ecosystem and the libraries available for common tasks. Ability to design applications around natural user interfaces, such as (touch). 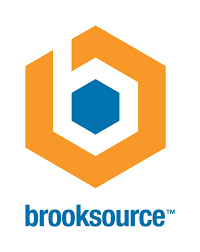 BrookSource is an IT services company, specializing in the recruitment and placement of high level IT professionals.